The blue yarn is a really sweet vintage sock wool and the variegated green is a wool I picked up on my first visit to England. 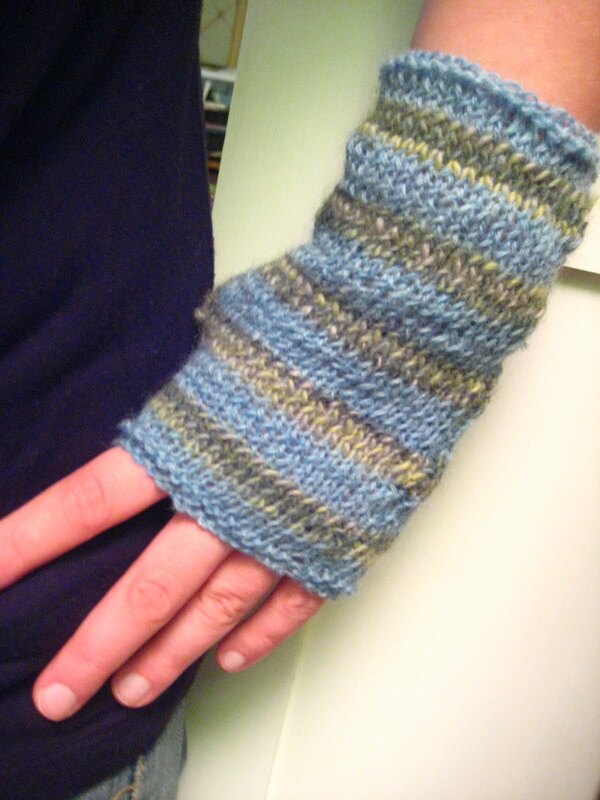 I didn't have enough of it to make anything really so it was perfect to use in a striped pattern. I've had time to finish up a few other projects which I will share soon. Today I'm busy unpacking my bedroom. Hopefully I will find the sewing machine soon so I can start on some Sew 12 projects!